Malacca, or Melaka if you prefer, is one of the most visited cities in Malaysia, even though it’s the third smallest state in the country. The last time I visited Malacca was back in 2009. I have blogged about that trip before, but it definitely won’t be as comprehensive as the entries I’m about to write this time. So yeah, if you’re following me on Twitter, you must have known about my trip to Malacca during the Merdeka Raya break – just 2 days 1 night. Long story short, we did what we had to do. Upon reaching Malacca, we went straight to The Stadthuys, a must-see place. In Dutch, it means the municipal town hall. The original colour of the building was white and was changed to red later on – hence currently known as “The Red Building”. 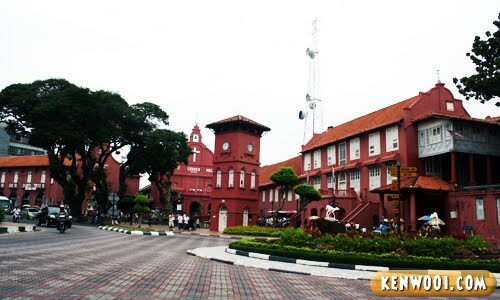 It’s one of the historical structures still well-preversed at the heart of Malacca Town. 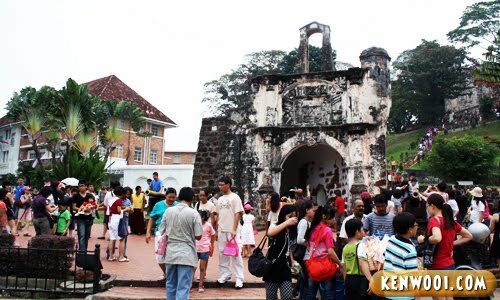 Anyway, tourists, both local and foreign, normally to use this area as a gathering point because it’s situated at the central of other attractions such as Jonker Street and A Famosa Fortress. A few meters away, there lies a new fort. 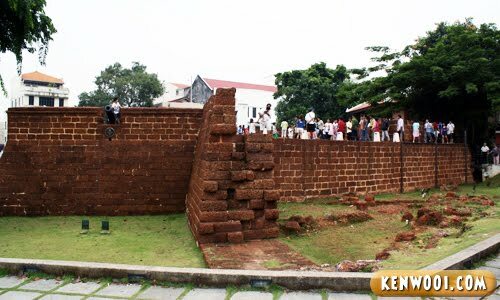 I couldn’t recall seeing this back in 2009, but according to the information board, this is the site of the Malacca Fort and it was revealed to the public quite recently. It’s just another attraction with cannons. 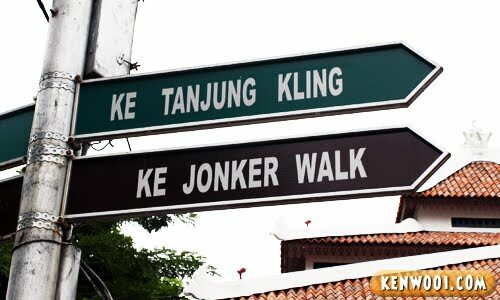 After strolling around for a bit, we headed to Jalan Hang Jebat, or famously known as Jonker Walk (or Jonker Street). During the day, the shop businesses along the road operate as usual – with vehicles passing by every minute. Since it was a public holiday, it was quite crowded – with both people and vehicles. The queues were long especially at restaurants and food stalls. Jonker Street used to be well-known as a place to shop and bargain for antiques and unique collectibles. However, in order to survive the wrath of the modern generation, adaptation to changes are necessary. 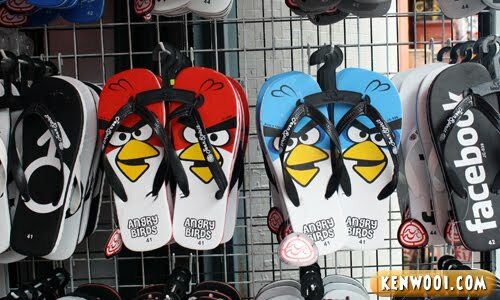 Angry Birds and Facebook slippers, being sold at Jonker Street? In historical Malacca? If such things were to exist in the past, the conquerers would be catapulting birds instead of heavy stone balls. For lunch, chicken rice balls. To be frank, I wonder why is it so famous in Malacca? To me, it’s like an ordinary rice served with Hainanese chicken – except for the ball-shaped rice. The chicken tastes ordinary too. Know what, I think the rice balls exist because of an intentional incident in the past. Someone itchy hand played with rice, rolled it into balls and served it – there, rice balls were invented! 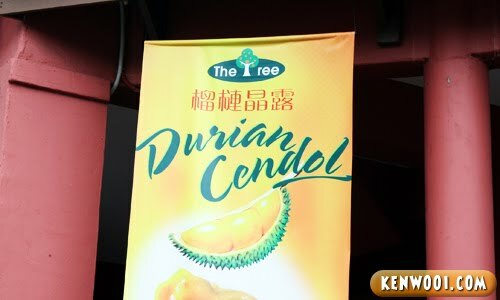 Another food you shouldn’t miss if you’re in Malacca, or Jonker Street especially, is the Durian Cendol. Apparently the one at Jonker 88 is declared as the best Durian Cendol, and at times like this, you will surely see queues. 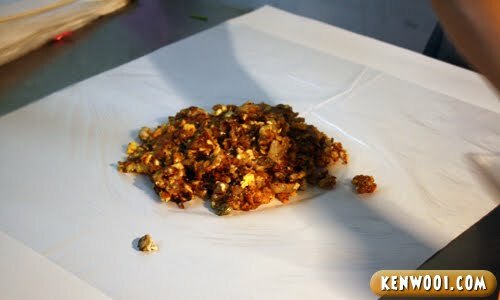 Since we insisted on having it, we queued up and yes… it was delicious and cooling during the hot and warm atmosphere. Not far away from The Stadthuys lies the tiny yet famous Porta de Santiago gate, which was part of the mighty A Famosa Fortress. Just look at the crowd. Wanna take photo without human in it was as impossible as defending Malacca from Alfonso d’Albequerque and his Portuguese army back in 1511. Anyway, there are steps to the ruins of St. Paul’s Church up the hill from the Porta de Santiago. More on that next time. The bicycle rickshaw business around that area has definitely been given a facelift. 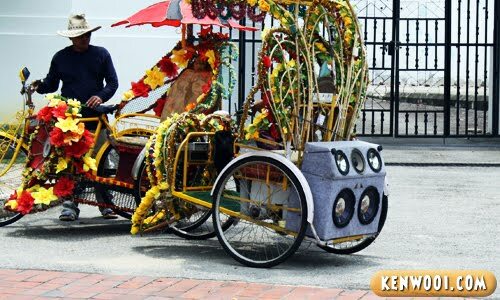 You wouldn’t miss its presence because it’s no longer just a simple rickshaw – it’s now like heavily-decorated carriages with speakers and woofers attached! If you take a ride, it won’t be quiet journey. These rickshaw operators would play entertaining modern music throughout the ride. I guess it would’ve been more suitable if they actually play Baba Nyonya or classical Malay songs. Oh well, old is gold – but they would one day give way to the trendy young, new and fresh. Anyway, a few hours later and we proceed to the next destination – Nadeje! 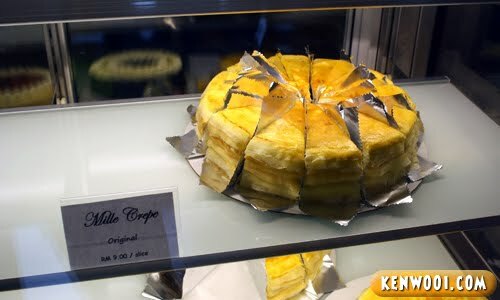 Its selection of Mille Crepes is apparently another famous food attraction in Malacca. No, it’s not some historical food by the Japanese, it’s actually a modern delicacy. Looks yummy no doubt, had some, texture is one of a kind, but tastes just okay. Nothing spectacular about the cakes. Again, I wonder why it’s a craze in Malacca. Next for dinner, we had Nyonya food at Nyonya Makko Restaurant. 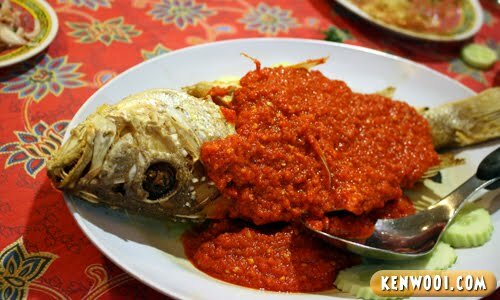 As usual, Malacca is known for its authentic Nyonya food and it’s common for tourists to taste them before they leave the state. Verdict? The food by Makko were just okay. Nothing so Nyonya-ish about the dishes. 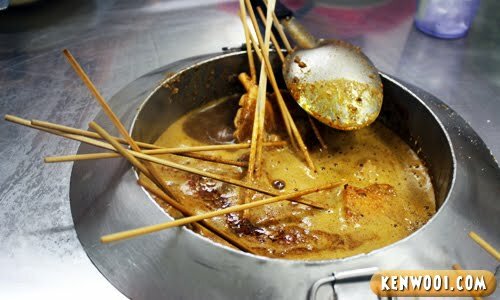 Alright after that, we headed to another must-eat food – Satay Celup. Satay Celup is my all-time most favourite food in Malacca. I had it before at Ban Lee Siang and this time, I wanted to give Capitol Satay Celup (tried it on another visit to Malacca) a try. But… the queue was freaking long and it wasn’t moving at all. Look at the madness! Just stand there and wait for an hour plus? Well, we didn’t. 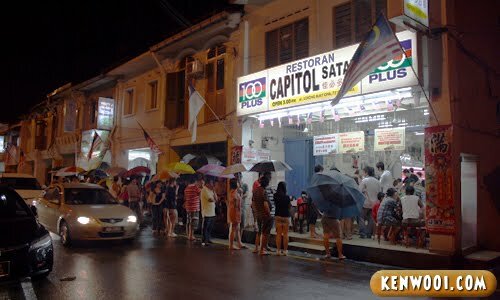 In the end, we opt for another satay celup restaurant, Old Village Satay Celup – which is just 3 doors away from Capitol. Later that night, for supper, we dropped by for some fried oysters at Jalan Bunga Raya. It’s supposedly famous. Yet again, another big crowd. With 1 man solo on the job and with so many orders, we actually waited 1 hour 15 minutes. Yes, that long – just for 4 packets that costs RM6 each. I know it’s about oysters being fried – but since it’s fried mainly with eggs and I’m an egg lover, I enjoyed it because the portion of the eggs is a lot. But the rest said Penang fried oysters are much nicer than this. This Malacca version has too much eggs and too little oysters. No doubt about that. 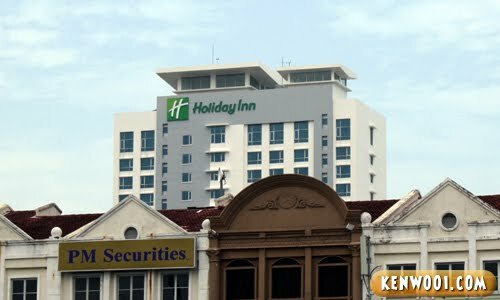 Finally, at the end a long day, we headed back to our hotel – Holiday Inn Melaka. The stay was good, slept well in their cozy room. Woke up, and a brand new day awaits! After breakfast in the morning, it was time for Menara Taming Sari! 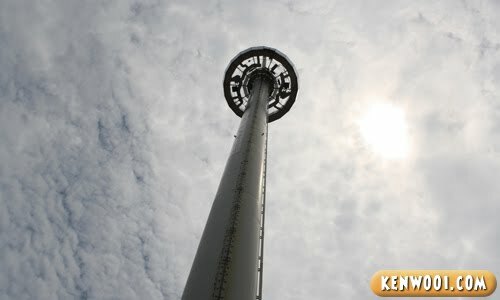 Located at the middle of the busy area surrounded by museums and shopping centers, the Menara Taming Sari is the first of its kind in Malaysia – it’s the only observation platform which provide 360° rotating view of the entire city. Costing RM10 for a Malaysian adult (MyKad needed), the 7 minutes adventure was certainly an experience. Despite being able to see the city at that height, the night view would definitely be better than the day view. But due to time constrain, we were only able to go up the tower during the day. So yeah, the next time I visit Malacca, I will opt for the night one. Then, before we leave Malacca, we bought some pork satay. We went to the one located along Jalan Kota Laksamana 1/1. 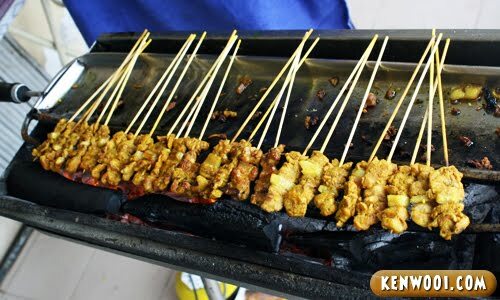 I’m not a pork satay fan but I was told that this isn’t the best in Malacca. Oh well, will search for the best one next time. After finishing up the pork satay, we headed back home. That pretty much sums up the whole local trip. Anyway, prior to the trip, I prepared a list of common attractions in Malacca, which includes the road names and the respective GPS coordinates. All in all, we managed to fulfill majority of the listed itineraries, except for Melaka Zoo (not opened) and Capitol Satay Celup (queue was crazy!). Other than that, everything went according to plan. During this trip, it was my first time relying on a GPS device to lead me to my desired destinations. Fortunately, the locations were accurate and it’s such a convenience when exploring unfamiliar places. 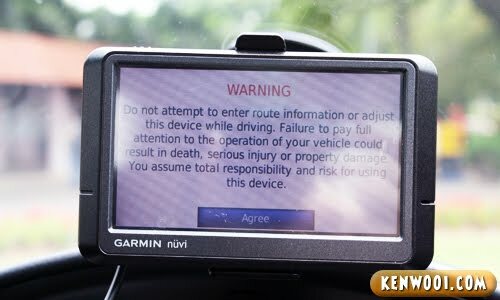 With just a tap of a button, I’m actually agreeing that if whatever unwanted *touchwood* situations happen while using the device when driving, it’s not the Garmin’s fault – it’s mine! Who knows, this GPS device could go crazy and lead me to my Final Destination. Oh crap!! Your Malacca entry really loooooooooooonng but i love it. Hahaha..
what? The zoo was closed? Thank goodness we did not attempt to go then! Wanted to go but thinking that it might be super crowded decided to go some other time! haha! i went to the same chicken rice shop with u in jonker street. (i think), just recently too! Use poliplates and papercups =.= like fastfood restaurant. Not cheap samo. Chicken rice balls – just a gimmick. No big deal what? I was eating those in Kuching in the 70s. And I don’t like the gravy in the pot for satay celup. When it starts boiling, it looks like the volcanic mud pools in Rotorua, New Zealand… Or chian does not look alluring – better ones in Penang. I would love the crepe shop though… Yummmm!!!! 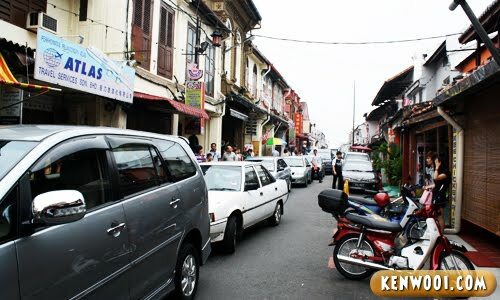 Nice blogpost about malacca:) my hometown. bro, im from melaka too la bro! WOW. 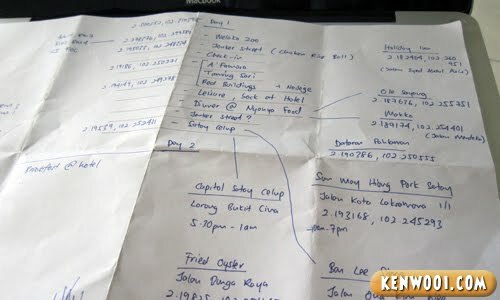 This is more like a foodie trip to Melaka. And the long queues! WHoa. I wouldn’t get in a long queue just for a food. My brains might have the patience but my stomach doesn’t. LOL. I just came back from Malacca. Damn, I missed the stay celup! I totally forget about it. Anyway, I managed to catch a few famous stalls in Jonker Walk. Chicken rice ball, i could not understand why tourists love chicken rice ball. 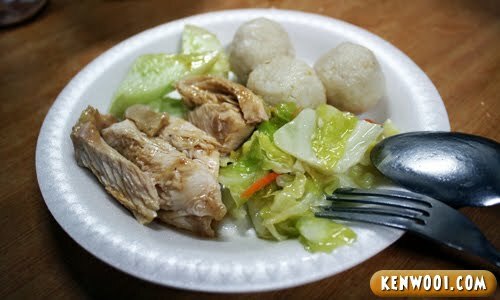 After studying in Sabah, this first thing i want to eat when back Malacca is chicken rice ball. throw the GPS away la lol . . .
No way! 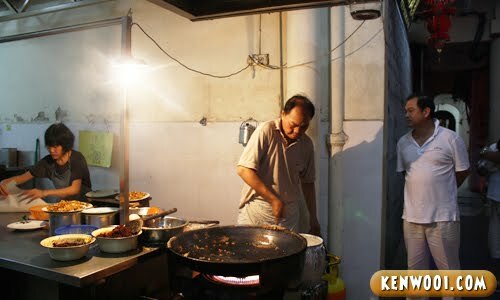 The best oh-chian is still from Muar! The ones in Penang don’t even come close. Satay celup, the quah gives me the creeps. From hygiene standpoint I mean. Oh well.. Thanks for the tour. Haven’t been there in ages. Btw, I was told the chicken rice balls originated from Muar. The stall in the coffeeshop is still selling this decades-old specialty and the rice balls with the chilli sauce taste fantastic. You don’t need the chicken, you could just eat the rice with the chilli sauce on its own. Yum! The ones in Muar are slightly bigger and don’t look like fishballs. Want to pay a visit to Malacca but when think about the crowd…. “If such things were to exist in the past, the conquerers would be catapulting birds instead of heavy stone balls.” HAHAHAHA !!! Malacca seems to be a popular place. A lot of bloggers seem to be posting on the place. Looks like I’ve to visit again, been a long time…..
OMG, those Angry Birds flip flops are so cool! I want, I want! Hahaha! my 1st trip to malacca was a long long long long time ago. just visit the crocodile (=.=)||. Very interesting post, i also just back fr melaka trip in july this year. I like the nyonya food, nyonya cendol and satay celup, but dislike the chicken rice ball texture because it’s too soft to my liking. Thank goodness i went there after the people started to leave the town as Friday was a working day. Thus, we managed to avoid the crowd. Hmm, I think not very suitable to go melaka during public holidays right? Hate the queues!! Yes, I think the chicken rice balls is highly overrated – our normal chicken rice is KL is 100 times better haha!! Nadeje crepe cakes also highly overrated but not as overrated as the chicken rice balls haha! I went to Melaka several times too, but the most memorable trip was in 2009 – went with a local and she brought me to all the tourist places – A Farmosa etc. We walked the entire day and I got sunburnt but it was fun. Hey, we were about to check out Makko too, but we didn’t have time last time I went there. There’s another authentic Nyonya restaurant around Jonker Street but it only opens during weekends apparently and you have to book. It’s quite elusive, I haven’t been there myself but I’ve heard great things about it. Nice clouds at Menara Taming Sari!! LOL! wow, I’ve been here once and it was damn hot but coming there for the food, the chendol and the sights was all worth it! love your note. I like how you plan prior travelling. malacca is super developed these days…i studied there in 2004…last month go there for works and its completely changed! I’m surprised guys also plan itinery. I’m impressed. Written some more. thumbs up!